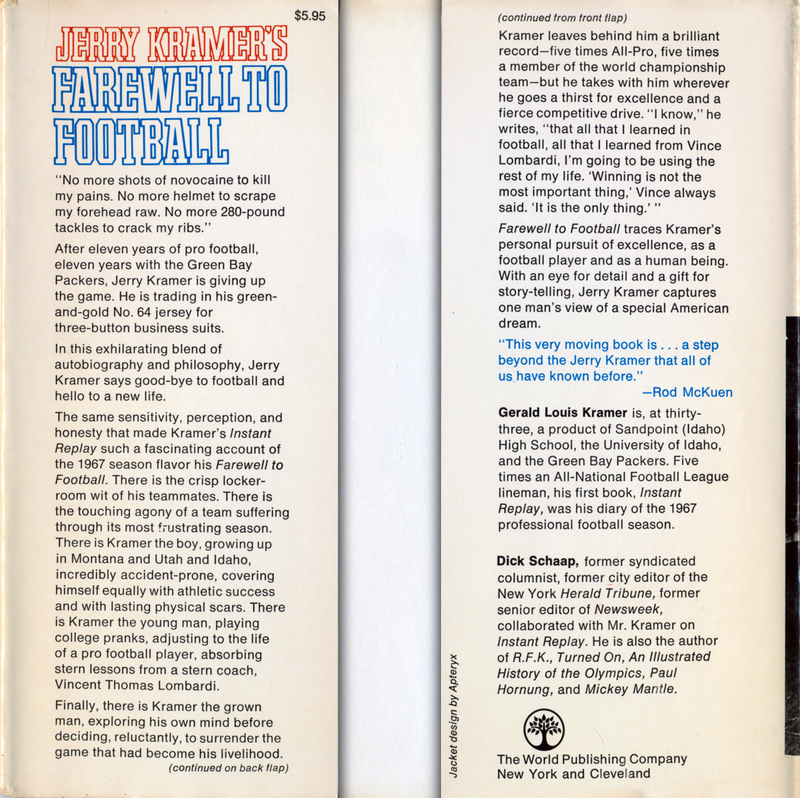 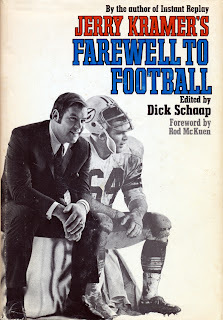 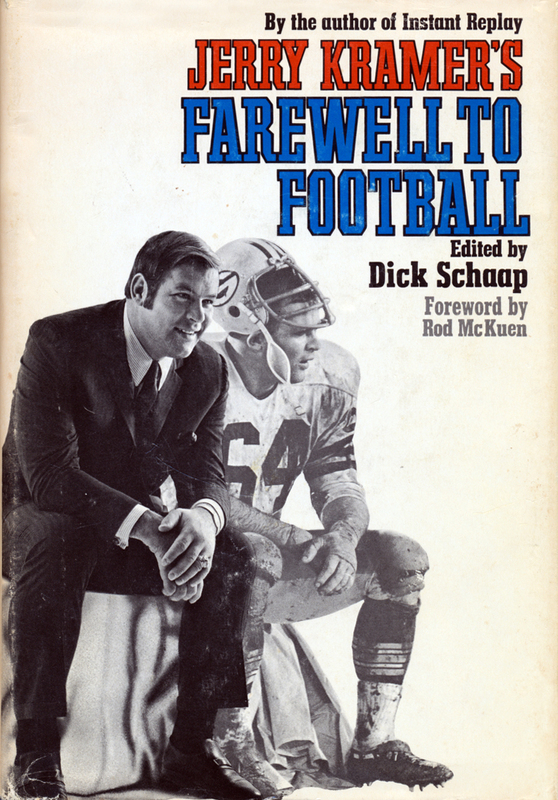 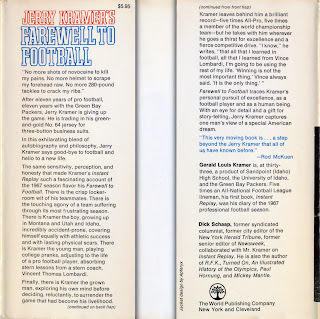 On the heels of his very successful diary of the 1967 season, Instant Replay, Green Bay Packers legendary G Jerry Kramer wrote Farewell to Football. 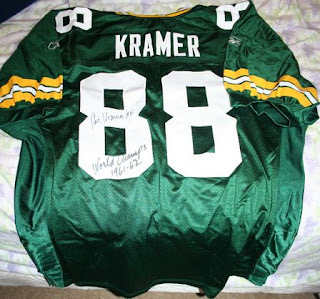 After eleven seasons with the Packers, Kramer had decided to retire from the National Football League and enter the business world. This book tells of that transitional season of 1968 and his moving on in life. 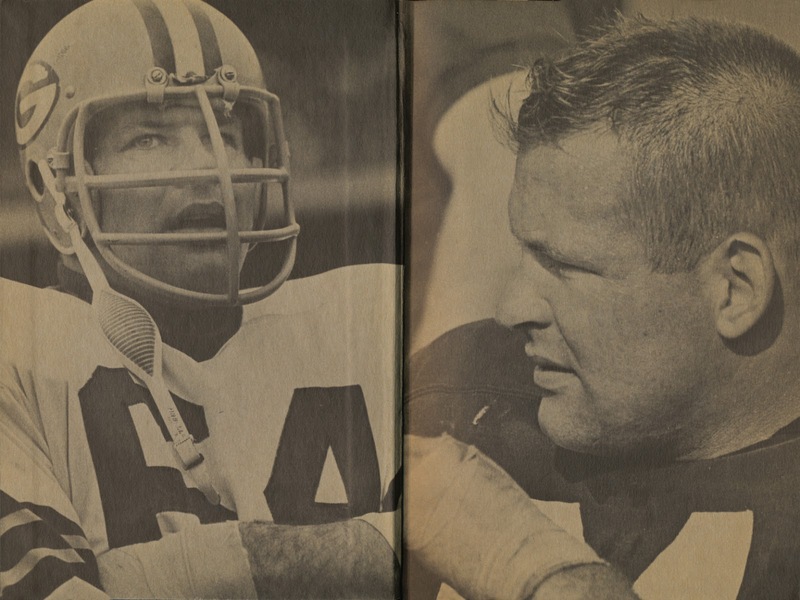 The inside front and back covers have this photo treatment. 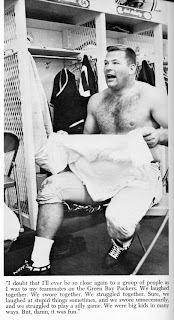 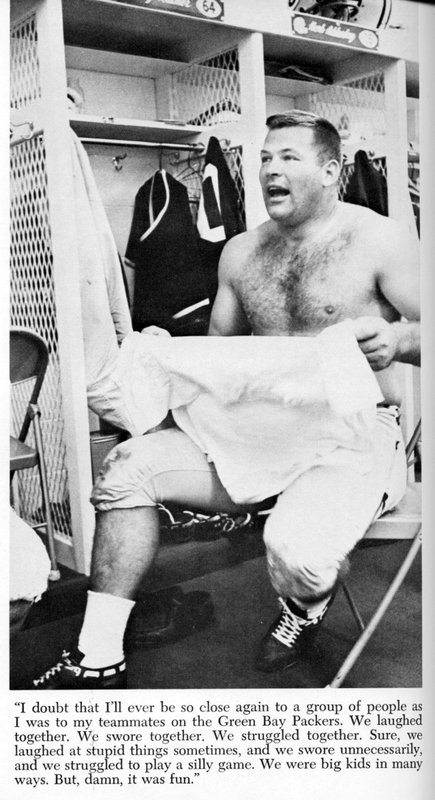 Jerry Kramer during the 1968 season. 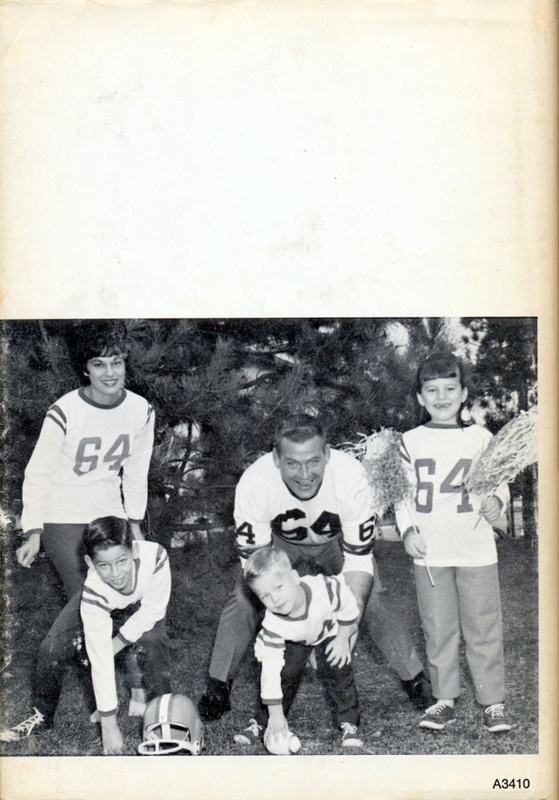 Back cover — the Kramer family in 1969. 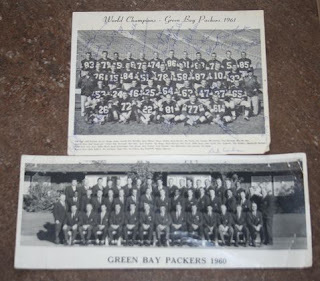 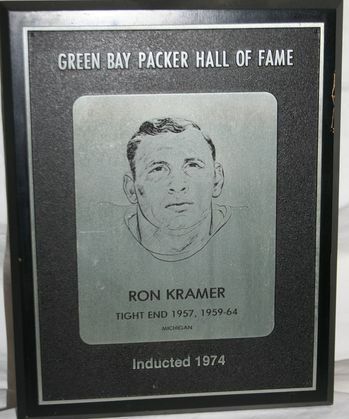 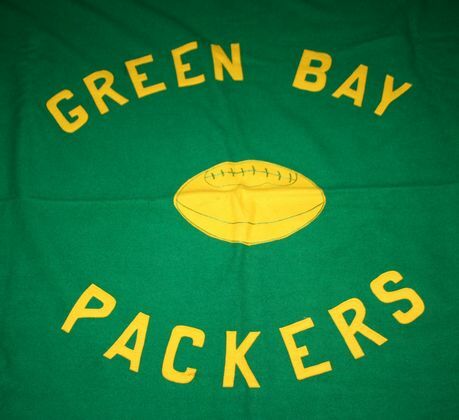 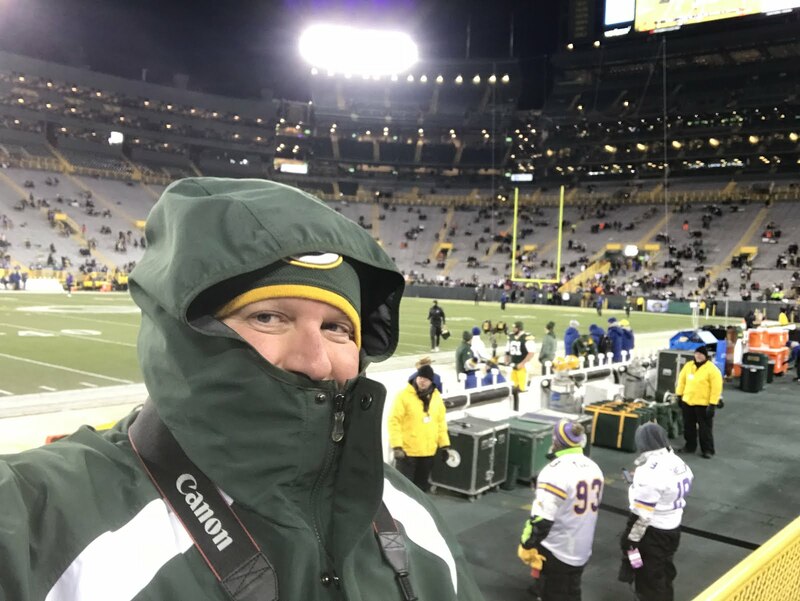 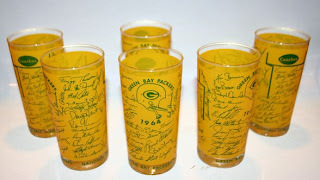 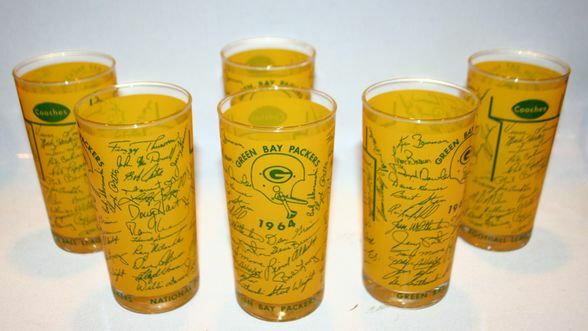 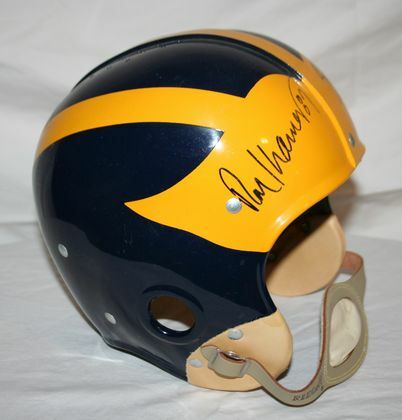 We had a request from the Ron Kramer family (no relation to Jerry) to give a nod to their upcoming auction of Green Bay and University of Michigan memorabilia (and some Lions items too). 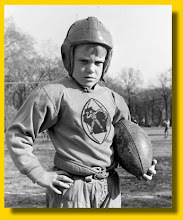 Kramer, who played for the Packers in 1957, and then from 1959-64, passed away in 2010 at the age of 75. 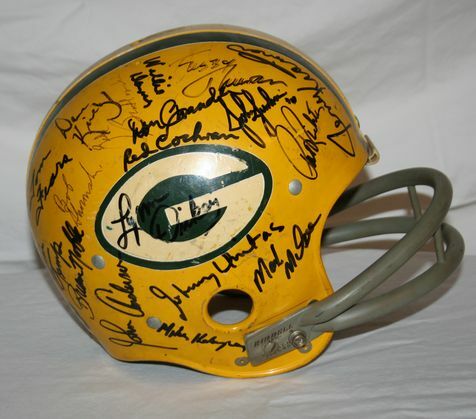 At the bottom of the following images are the links for the auction. To see many more items for auction, and to find out more about the memorabilia seen above, visit the site here. For the auction details, please go here. 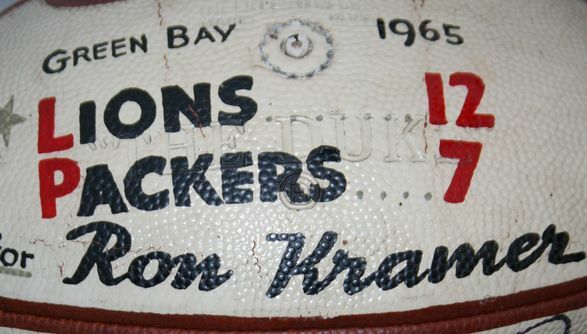 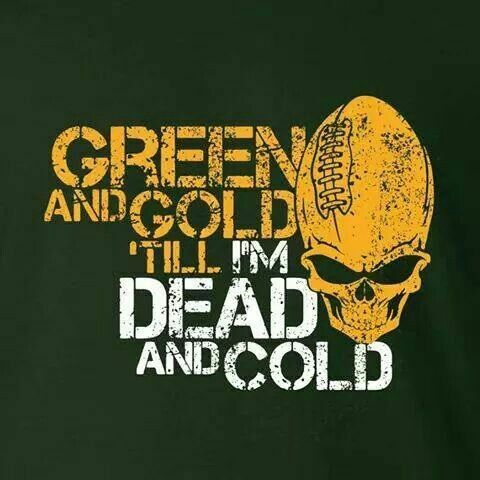 as a fan of both the Packers AND the Wolverines, i would love to get some of Ronnie K's stuff, but i fear it will all be too expensive. 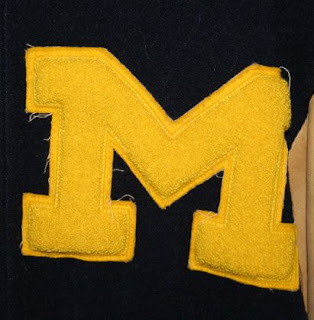 His Michigan varsity jacket would REALLY be a cool thing to have!